HILO, Hawaii (AP) - Scientists measuring the thickness of Kilauea volcano’s newest lava flows have said molten rock added as much as 180 feet of lava to parts of the Big Island last year. New land created in the ocean reaches as high as 919 feet. The U.S. Geological Survey released the data last week along with a preliminary map of the flows, the Hawaii Tribune-Herald reported. 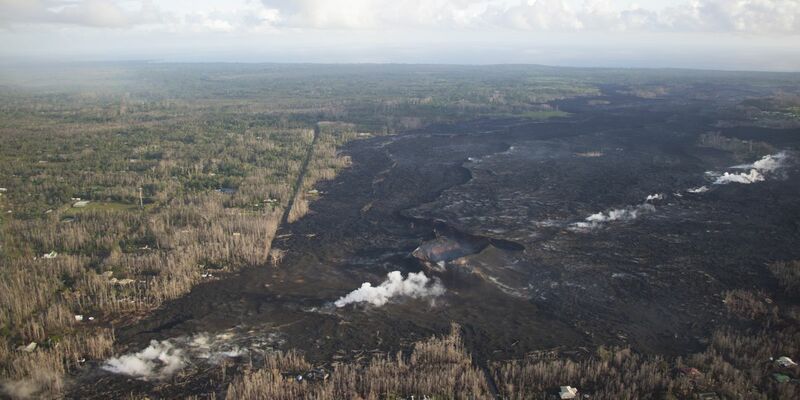 The volcano’s latest eruption began last May in a residential area called Leilani Estates in Puna. It destroyed more than 700 homes before law flows started petering out in August. Scientists had to collect some data later because some spots were too remote for drones to reach or too dangerously infested with so-called laze plumes for helicopters to fly to. Laze forms when hot lava hits the ocean, reacts with sea water and sends hydrochloric acid and steam laced with fine glass particles into the air.